A new report in the British Medical Journal on centralising acute stroke services in Greater Manchester and London reveals the revolution in stroke care and treatment over the last twenty years – and it contains vital lessons for patients and policymakers, explains Dr Stephanie Snow. Around 152,000 of us will suffer from stroke in the UK each year and few of us will live lives untouched by stroke either directly or through the sufferings of those close to us. It is one of the leading causes of death and disability worldwide and though it mainly affects people over 65, children and babies can also suffer. In 2010 Greater Manchester and London introduced new centralised stroke services so that stroke patients could be admitted straight to a specialist unit and have access to the latest treatments and brain imaging. In London this has saved almost 100 lives each year. In Manchester and London the length of stay in hospital for patients has dropped significantly thereby saving money. The additional benefits in London have been attributed to a stronger adherence to protocols and the admission of all stroke patients to a hyper-acute centre, whereas in Manchester only patients who presented within 4 hours were admitted to a hyper-acute centre. But what does this success story mean for patients, policymakers and the NHS more widely? Stroke has a long history in medicine but treatments were only recently developed. The successful trials of a clot-busting drug, tPA, in the USA in the 1990s established it as the first acute treatment for the commonest type of stroke; ischaemic stroke is where the clot prevents blood reaching a cerebral vessel and causes cell death. But to minimise the risks of treatment patients had to be diagnosed and treated within a few hours of the onset of stroke. This set a new paradigm for the treatment of stroke patients and has driven the reconfiguration of stroke services across the world. But the process has been highly charged, not because giving stroke patients clot-busting drugs is technically complex but because stroke’s history as a non-treatable disease and its stigma as a condition of old age has made it a low priority. Since the 1970s, evidence from Sweden and Australia showed the benefits for stroke patients of being cared for in specialist stroke units. New models of care were established by the 1980s which focused on rehabilitating patients as quickly as possible after stroke and meta-analysis of research studies by the Cochrane Stroke Group in the 1990s confirmed that patient outcomes improved if they were treated in a stroke unit. In Britain, doctors struggled to develop specialist stroke units in the NHS and to get patients access to new technologies like brain scans. From this perspective trying to introduce the use of clot-busting drugs seemed impossible. Things started to change by the 2000s. A standard for stroke care was included in the 2001 National Service Framework for Older People and in 2005 a National Audit Office report estimated that stroke was costing the NHS £2.8 billion in direct care costs, £1.8 billion in lost productivity and disability and £2.4 billion in care costs such as home nursing and family-provided care. Together with lobbying from clinicians and patients this led to the creation of a National Stroke Strategy in 2007. For the first time in the history of stroke, patients were cast as priorities in the NHS. But the plans to centralise stroke services in Greater Manchester and London caused much local uncertainty about the impact on local hospitals. The Manchester model was less radical than the London model precisely because it attempted to assuage such concerns by allowing all hospitals to continue to play a role in stroke services. Patients, clinicians and local communities have frequently resisted the reorganisation of services at local level. The idea of the local hospital is deeply embedded in public understandings of the NHS. Acute stroke services could be improved across Britain by centralising services in other localities and exploiting the potential of telemedicine in rural areas. But this will require us to rethink our assumptions about the form good healthcare takes. Clinicians and policymakers must also remember that for stroke patients treatment in hyper-acute units is only the beginning of a long journey to reclaim themselves and their lives. Momentum around improvements in acute services needs to carry through to rehabilitation and community services which are the Cinderella in the stroke story to date. This blog has been written following new research published in the British Medical Journal. ‘Impact of centralising acute stroke services in English metropolitan areas on mortality and length of hospital stay: difference-in-differences analysis’ by Stephen Morris et al. 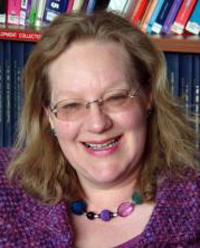 Dr Stephanie Snow is a historian of medicine in the Centre of the History of Science, Technology & Medicine at The University of Manchester and is currently researching the global history of stroke since the 1950s.